Jesus (c. 4 BC – c. AD 30 / 33), also referred to as Jesus of Nazareth and Jesus Christ, was a first-century Jewish preacher and religious leader. He is the central figure of Christianity. Most Christians believe him to be the incarnation of God the Son and the awaited Messiah (Christ) prophesied in the Old Testament. 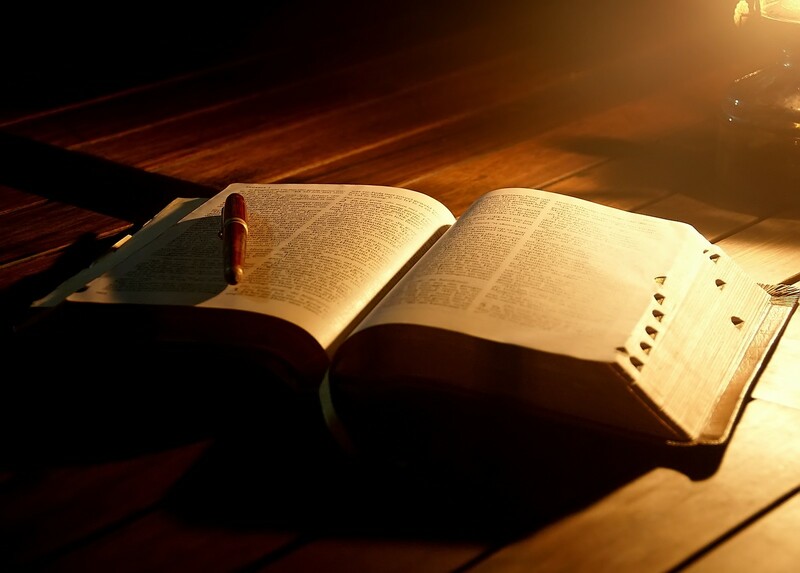 Virtually all modern scholars of antiquity agree that Jesus existed historically, although the quest for the historical Jesus has produced little agreement on the historical reliability of the Gospels and on how closely the Jesus portrayed in the Bible reflects the historical Jesus. Jesus was a Galilean Jew who was baptized by John the Baptist and subsequently began his own ministry, preaching his message orally and often being referred to as “rabbi”. Jesus debated with fellow Jews on how to best follow God, engaged in healings, taught in parables and gathered followers. He was arrested and tried by the Jewish authorities, and turned over to the Roman government, and was subsequently crucified on the order of Pontius Pilate, the Roman prefect. After his death, his followers believed he rose from the dead, and the community they formed eventually became the Christian Church. 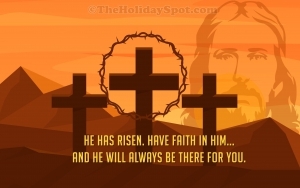 His birth is celebrated annually on December 25 (or various dates in January for some eastern churches) as a holiday known as Christmas, his crucifixion is honored on Good Friday, and his resurrection is celebrated on Easter. The widely used calendar era”AD”, from the Latin anno Domini (“in the year of the Lord”), and the alternative “CE”, are based on the approximate birth date of Jesus. Jesus answered and said, I thank you, Father, Lord of heaven and earth, that you have hidden these things from the wise and prudent and have revealed them to babes. 1 Samuel 16, 7; Matthew 11,25. So small – he doesn’t count! Towards the end of the 18th century the responsible verger of a small Scottish church wrote this entry in the register: “This has been a very sad year. There has not been a conversion, and no-one has been added to the church. There was only little Robert, who said that he had given himself over to God. But he is so small, he doesn’t count!” Now that “little Robert”, whose conversion seemed so insignificant, was Robert Moffat, who later became one of the first missionaries in South Africa, where he worked until 1870. He even translated the Bible into a native language. We are often too ready to judge people’s importance by their appearance. It is not so with God. “There is no partiality with God” (Romans 2,11). Making distinctions between persons, judging their importance or estimating their worth according to our own criteria is sin (cf. James 2, 9). It amounts to defying the will of God, who gave us the commandment to love our neighbour as ourselves. When He was on this earth, the Lord Jesus said, “Let the little children come to me, and do no forbid them; for of such is the kingdom of God. Assuredly, I say to you, whoever does not receive the kingdom of God as a little child will by no means enter it” (Luke 18, 16.17). It was the weakness, the simplicity and the attention to here. Becoming morally like a small child is the necessary condition and way to approach God. Their conscience also bearing witness, and between themselves their thoughts accusing them. Romans 2,15. Nowadays many people have, to a large extent unfortunately shut their inner ears to the voice of their conscience. How could they otherwise sleep far from God so peacefully, instead of being plagued by the thought of getting right with God ? Then, at the latest, it is time to listen to God’s prosecutor, as our conscience has been designated, and inquire after the way of salvation. Everything can be put in order, even our worst wrongs, and that before the Judge of the highest of all courts: God Himself. For this reason he sent His son, Jesus Christ, to atone for our sins, holding nothing back before Him. Seen in this light, this is a tremendous offer by God. But the point is: will you accept it ? There is no difference; for all have sinned and fall short of the glory of God, being justified freely by his grace. Romans 3, 22-24. This verse from the Bible causes offence to many people. They question whether there is no difference between the pious and the godless, between a benefactor and a murderer. Is that what the text actually means ? There are of course many and varied differences among people at every level, and God takes them into account. There are not only the poor and the rich, the simple and the intelligent; there are also noble-minded persons and criminals. On one decisive point, however, they are all alike, and that is what our text from the Bible points out. Everyone, without any exception, has sinned in some way or other. So the consequences is: they fall short of the glory of God. The noble-minded person no less then than the criminal. In this respect they are indeed alike. Allow me to give an illustration: a high wall, sin, separates mankind from God. A ladder is leaning against this wall. But it is far too short to reach the top. So what use is it whether someone stands on the top or the bottom rung? Nobody will be able to climb over the wall to get to the other side! But the text didn’t end there. There is a way by which we can be justified freely: through God’s grace. God wants to redeem us in Jesus Christ, His Son. Whoever understands that he cannot satisfy god’s holy demands and grasps the salvation that God offers him in Jesus Christ will be declared righteous. This gracious offer is valid for everyone, but it must be accepted personally. Hear, o heavens, and give ear, o earth! For the LORD has spoken. God, who at various times and in various ways spoke in time past to the fathers by the prophets, has in these last days spoken to us by his Son. Isaiah 1,2; Hebrews 1,1.2. Within the limits of our existence as creatures we cannot have any conception of God. If any human being wanted to comprehend God in His essential being with his intellect and thinking, he would have to be God. Nevertheless, God has spoken, expressing Himself in a language accessible to humans. The creation reveals His existence (cf. Psalm 19, 1 -7). We see the infinite power an wisdom of the Creator in it. He has spoken by means of the angels (cf. Acts 7, 35; Galatians 3, 19) and the prophets. He has spoken in the Person of His Son. Christ is the revelation of God in the fulness of His being. Finally, God still speaks through the Bible, the written Word. All that we are able to know about Him and the Lord Jesus Christ is recorded in this book. The revelation of God has essentially a moral character. It does not address our intelligence as much as our conscience and our heart. To our conscience He presents Himself as a holy, righteous God, the God of truth, whose claims and demands are absolute. The evil in us and that which we have committed He can therefore only condemn. To our heart He reveals Himself as the God of love, who gave His Son. For all who turn to Him He has passed the judgement that we deserved on Christ. May He be praised eternally for such grace! Thus says the LORD God of the Hebrews, How long will you refuse to humble yourself before me? Exodus 10,3. This question unnerved Pharao, the king of Egypt, tremendously. He simply would not listen to God. Do we also find it troublesome when God asks us: “When will you put your life in order with me? When will you turn to me?” What answer do we then give to God? Young people are distracted by so many things that they do not think of God and eternity. There is so much to enjoy in life. Why be converted and become religious? Some other time perhaps, but not just now. Those whose time is taken up with work and other activities are too busy; they have no time for God. Their career must come first; they need to earn money. What about God? Later in perhaps. What do pensioners say? I am too old. What is more, I have got on well enough without God until now. In any case, who can tell definitely what lies beyond the grave? Sick people are too weak to be occupied with such serious questions concerning God. Their pains prevent them from thinking about their relationship to Him. They are too ill to be converted. Then death comes, and it is too late to put things right with God. The die is cast. The fate of those who have passed into eternity unreconciled with God is final. They are lost eternally. May God be thanked that the joy of those who confess their sins frankly before God and receive forgiveness and grace by faith in the Lord Jesus is also final. They are saved eternally.